Andrius Gudzius competed last week at Lithuanian Championships and won the title with high-level 68.04m throw from the last round. Gudzius also had 67.09m throw in the series. Congratulations! Season 2017 World Lead thrower Daniel Stahl competed today in Karlstad Sweden where he won the meet with a last round 67.26m. Daniel also had 66.07m, 65.47m, 65.35m and 64.11m throws in the series. Second was Niklas Arrhenius 62.80m and third David Wrobel 61.20m. Jamaican Fedrick Dacres competed last night in Jamaica and won the meet with another 68m throw from this season - 68.30m. Some other great results we have not been covering - Daniel Stahl won Swedish Club Championships on th July with high-level 67.59m. And of course the very tight higi-level Diamond League meet in London - Daniel Stahl 66.73m, Fedrick Dacres 66.66m and Philip Milanov 66.65. Young Swedish thrower Daniel Stahl won Sollentuna GP today in Sweden with a massive 71.29m. This is a new Swedish Record, which was beaten by 3cm (previous record was by Ricky Bruch 71.26m in 1984). This is also the longest throw since 4 years in the world and gives Daniel 9th best discus thrower title in the event history. Congratulations to Daniel and his coach Vesteinn. Robert Urbanek was today second with SB 66.67m and third was Niklas Arrhenius 63.37. Robert Harting won the European Athletics Team Championships in Lille with new Season Best of 66.30m. Robert Urbanek was second with also Season Best 66.25m. They were followed by Lolasson Djouhan 64.35m and Erik Cadee 62.22m. 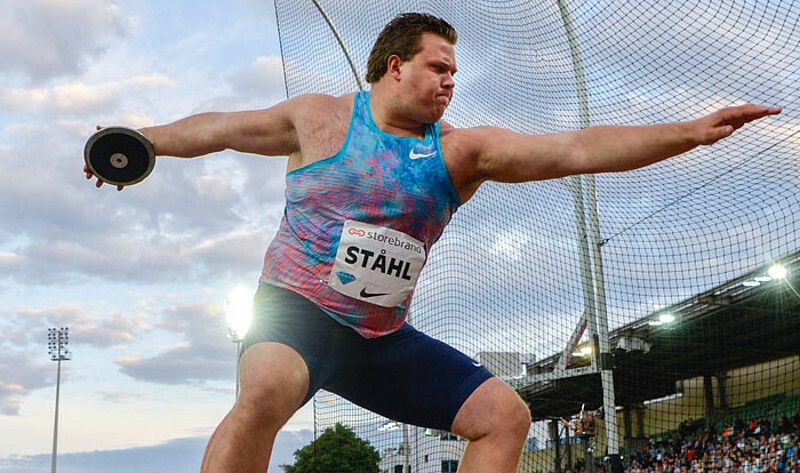 Daniel Stahl won the European Athletics Team Championships 1st league in rainy Vaasa with 66.41m, he was followed by Philip Milanov 63.27m and Sven Martin Skagestad 61.35m. Lukas Weisshaidinger won the European Athletics Team Championships 2nd league in Tel Aviv with 65.66m, Andrius Gudzius was 2nd with 65.21m and third was Apostolos Pareliis 63.49m. World Lead thrower Fedrick Dacres won the Jamaican National Championships in Kingston with 66.52m. It was a perfect weather tonight at Stockholm Olympic Stadium and discus throwers took a great advantage of it. 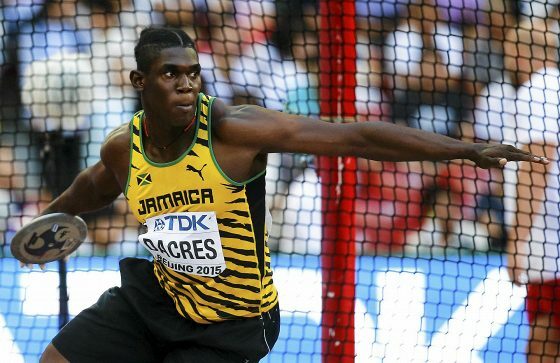 Young Jamaican Fedrick Dacres won the meet with amazing 68.36m. 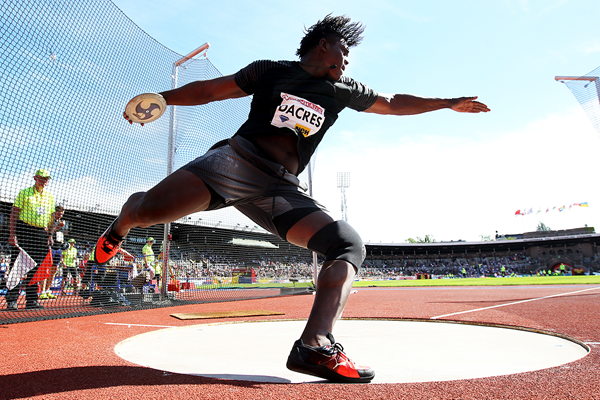 Dacres has had a great week, finishing second with 67m throw at Oslo DL. 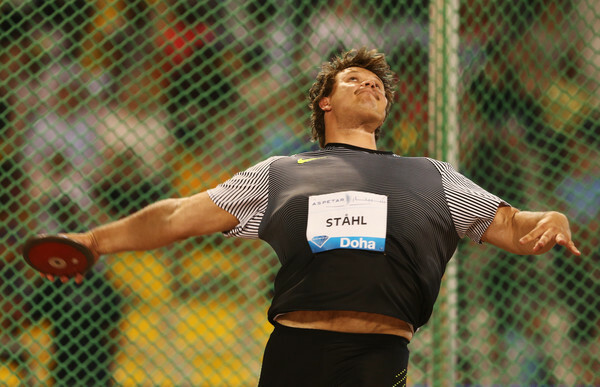 Today Dacres was followed by Daniel Stahl, who also surpassed 68m line in the last round, achieving 68.13. Andrius Gudzius threw hogh-level 67.29 and close by was Philip Milanov 67.05m. They were followed by Olympic Champion Robert Harting 66.20m, World Champion Piotr Malachowski 64.60m and Olympic Champion Christoph Harting 61.75m.